The Dipavamsa or Deepavamsa (i.e., "Chronicle of the Island"; in Pali: Dīpavaṃsa), is the oldest historical record of Sri Lanka. It means Chronicle of the Island. The chronicle is believed to be compiled from Atthakatha and other sources around the 3-4th century. 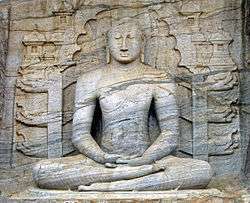 Together with the Mahavamsa, it is the source of many accounts of ancient history of Sri Lanka and India. Its importance resides not only as a source of history and legend, but also as an important early work in Buddhist and Pali literature. It is probably authored by several Buddhist monks of the Anuradhapura Maha Viharaya in the 3rd-4th century. The preamble begins with "Listen! I shall relate the chronicle of the Buddha's visits to the island, the arrival of the Tooth Relic and the Bodhi tree, the advent of the Buddha's doctrine, the rise of the teachers, the spread of Buddhism in the island and the coming of Vijaya the Chief of Men". 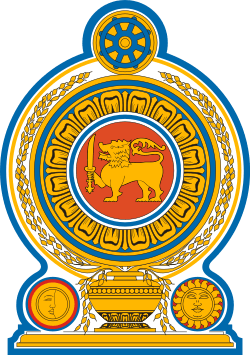 Dhatusena of Anuradhapura (5th century) had ordered the Dipavamsa be recited at the Mahinda festival held annually in Anuradhapura. The Dipavamsa refers to three visits to the Island by the Buddha, the places being Kelaniya, Deegavapi Raja Maha Viharaya, the place where the Bo-sapling was later planted within the Maha Mewna-uyana (Park) of Anuradhapura. It does not make any mention of the Buddha visiting Adam's Peak. Starting with the Dīpavaṃsa in the 4th century, the Theravādins of the Mahāvihāra in Sri Lanka attempted to identify themselves with the original Sthavira sect of India. The Dīpavaṃsa lauds the Theravāda as a "great banyan tree," and dismissively portrays the other early Buddhist schools as thorns (kaṇṭaka). The Dipavamsa was translated into English by Hermann Oldenberg. ↑ Differences between the Dipavamsa and the Mahavamsa. ↑ “The Dîpavaṃsa; an ancient Buddhist historical record”, edited and translated by Hermann Oldenberg. London, Williams and Norgate, 1879. "Dīpavansa". New International Encyclopedia. 1905.